Columbus Moving Image Art Review – CMIAR 25 – is scheduled for Friday, Jan. 15th, at 8 p.m. in room 180 Hagerty Hall, 1775 College Rd. on Ohio State’s campus. In 2009 Nicolette and Matt Swift, two local moving image artists, founded Columbus Moving Image Art Review (CMIAR), a quarterly screening event that showcases work from Central Ohio in a curated free-to-submit and free-to-attend exhibition. Since 2009, CMIAR has shown over 300 works by Central Ohio moving image artists, filmmakers, animators, software artists and projection performance artists, and has presented work at numerous festivals. Screenings have shown work from faculty, staff and students at The Ohio State University, Columbus College of Art and Design, members of the Mid-Ohio Filmmakers Association and several independent artists. 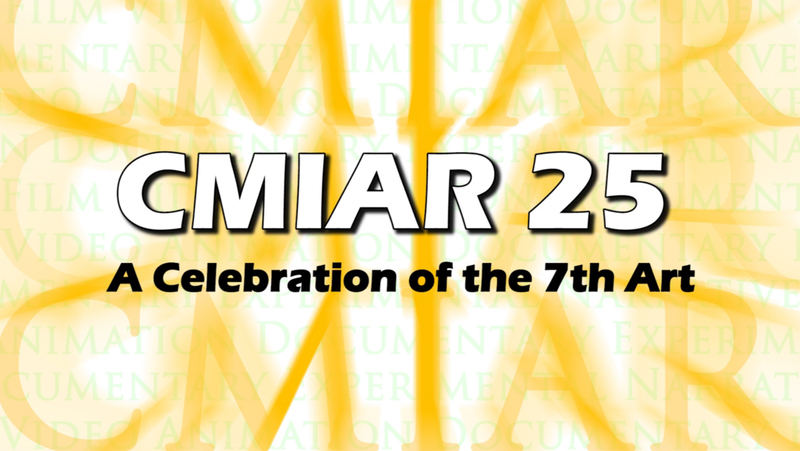 This event will celebrate CMIAR’s 25th show and will feature moving image work from local submissions, past CMIAR participants and a featured live projection performance. Free and open to the public. CMIAR is sponsored by The Ohio State University Film Studies Program and Nicolettecinemagraphics.Visit CMIAR on Facebook to RSVP to the event.